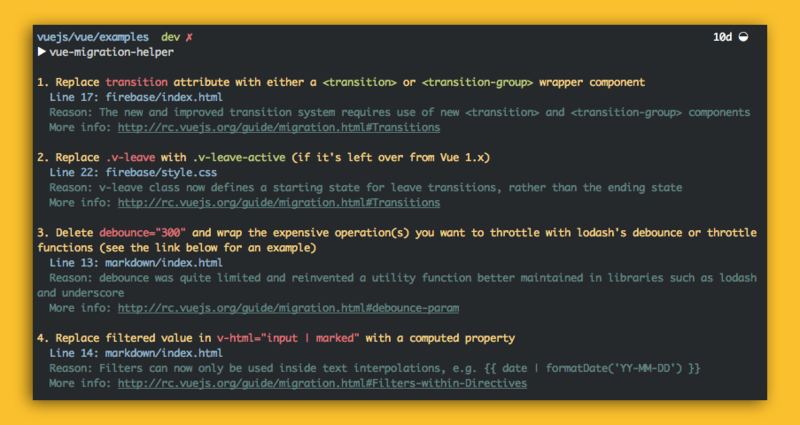 Vue Migration Helper is a CLI tool that will help us migrate from Vue 1. * to Vue 2.0. Currently its development is in progress but the tool looks awesome so far. Go give it a star on GitHub while waiting for the stable version. I am looking forward to using Vue Migration Helper to migrate a lot projects of mine. Keep up the good work Chris Fritz.